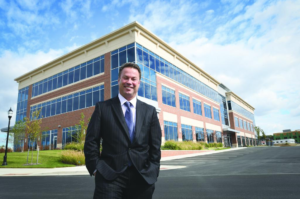 Richard Williamson, senior vice president of St. John Properties, said the company is developing 200,000 SF of new Class A office space this year in White Marsh. Citing the ongoing bullish stock market, St. John Properties is in the midst of a $51 million building boom ± its largest in nearly five decades. The developer said it recently launched projects totaling close to 500,000 square feet of new Class A office and flex space, a company record. The expansions are located in Anne Arundel and Baltimore counties, company officials said this week, a trend in step with other developers also expanding office and industrial space in Central Maryland. 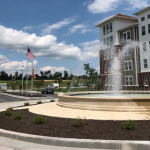 “This is one of the busiest times in our company’s history,” said Richard Williamson, senior vice president at St. John, who is overseeing the Greenleigh at Crossroads development in White Marsh. There, about 200,000 square feet of new office, retail and flex space is underway in the new 1,000-acre, $750 million project by St. John with partners Somerset Development and Elm Street Development off of Route 43. 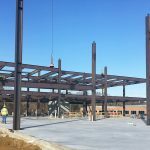 Williamson said the continued uptick in the stock market and overall confidence in the economy were reasons for the expansions that are expected to attract potential tech, cyber security and health care tenants. St. John’s growth comes amid a boom in industrial development in Maryland, experts say. This year alone, about 7.3 million square feet of projects are underway or proposed, data from the commercial real estate group Lee & Associates shows. In Anne Arundel County, St. John is developing 300,000 square feet of new Class A office space including a five-level, 130,000 Class A building in the Annapolis Corporate Park expected to open early next year. St. John is also building 120,000 square feet of new office space in the BWI Technology Park in Linthicum Heights. 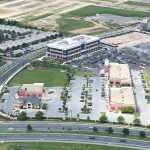 All total, St. John owns and has developed flex, office, retail and warehouse properties in eight states, most of them in Maryland totaling more than 18.5 million square feet.